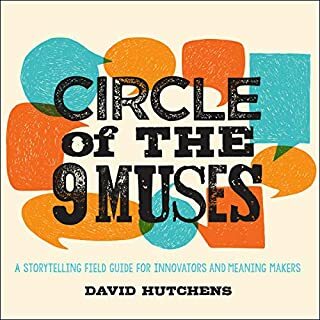 Circle of the 9 Muses captures the best practices of the world's most influential story consultants and knowledge workers to help you find, tell, and draw value from your organizational stories as impetus for action. This rich toolbox is loaded with fun, graphical instructions and dozens of unique, replicable, and facilitated processes that require no special training or expertise. You'll discover your organization's hidden narrative assets, use different templates and frameworks to tell the stories of your past, present, and future, and more. The story wars are all around us. They are the struggle to be heard in a world of media noise and clamor. Today, most brand messages and mass appeals for causes are drowned out before they even reach us. But a few consistently break through the din, using the only tool that has ever moved minds and changed behavior - great stories. Brands like Old Spice, The Story of Stuff, Nike, the Tea Party, and Occupy Wall Street created and sustained massive viral buzz. Winning the Story Wars is a call to arms for business communicators to cast aside broken traditions and join a revolution to build the iconic brands of the future. It puts marketers in the role of heroes with a chance to transform not just their craft, but the enterprises they represent. After all, success in the story wars doesn’t come just from telling great stories, but from learning to live them. 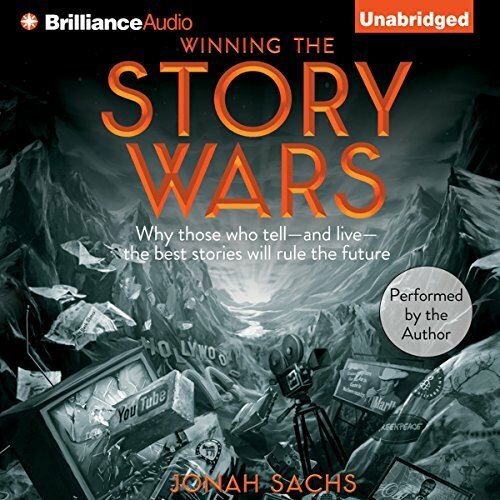 ©2012 Jonah Sachs (P)2012 Brilliance Audio, Inc.
What disappointed you about Winning the Story Wars? 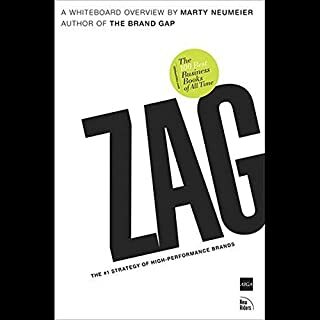 This book posits that there is a war in marketing--the war between inadequacy marketing and empowerment marketing. Not every company is, to quote South Park, trying to have a rock concert to change the world. And ultimately, Sachs fails to grasp that delivering the promise of empowerment to consumers is not necessarily the other side of the coin from inadequacy marketing--both seek to exploit consumers' insecurities and desires and products/services/goods/ideas, no matter how they are marketed, rarely deliver the transformative power the producer ascribes to them. So to say one is prima facie better than the other is to create a false dichotomy and another example of marketing sizzle with no steak--Sachs' greatest sin with this book. Apart from this false dichotomy, Sachs' other great sin is to attempt to map Joseph Campbell's hero's journey onto creating brand stories. A good idea, but not a new one, and any moderately intelligent person should be able to learn more from (the far superior) source material and apply it to marketing than they will from listening to Sachs go on ad infinitum mapping his take on Campbell onto dozens of modern brand stories. If you purchase this book, you may end up viewing it the way I did--as a punishment you will have to sit through to justify the expense of the purchase rather than as an enlightening pleasure. What was most disappointing about Jonah Sachs’s story? The most disappointing aspect of this book was that you could listen to the first chapter and be done with it. These are fairly simple ideas that I would guess began as a PowerPoint/Keynote deck to be presented at marketing/social media/tech conferences that someone encouraged Sachs to develop into a book-length narrative. Big mistake. These ideas would best be conveyed in 40 slides or less in under an hour. Sachs also spends too much time gloating and patting himself/his firm on the back over and over throughout the book for embodying the new paradigm of empowerment marketing. He/they have had some big successes, but is there really anything new here? (pretty sure Nike was doing this more than a decade before your firm mapped the idea onto social causes, bro). Save your money, go to the library and get the Bill Moyers/Joseph Campbell interviews instead. You'll learn more, have a more pleasant listening experience, and won't choke in a smug cloud. What three words best describe Jonah Sachs’s performance? Sachs makes insightful points about the secrets of marketing through storytelling. I enjoyed the book overall. Just found it boring as hell and gave up less than halfway through. Went in with high expectations because the video trailer for the book is nothing short of miraculous. But the approach to the book itself was typical and uninspiring. 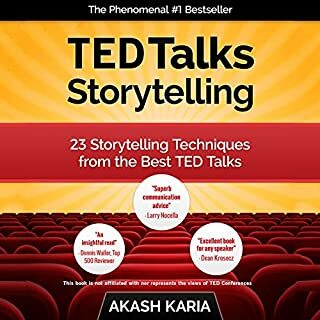 Most books about story-telling, spend a lot of time talking about how important story-telling is, but spend so little on HOW to actually create great stories, especially in the context of the digital age. Jonah goes into this beyond what most authors do. Thank goodness! 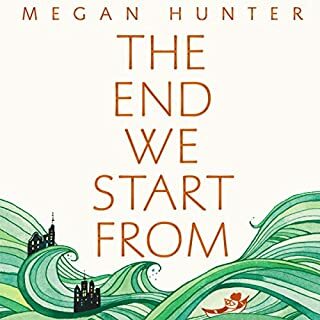 I love the book, I am reading for the second time this month! My only concern is that I wish he went into the mechanics of story-telling even more, but there is still a lot to work with. 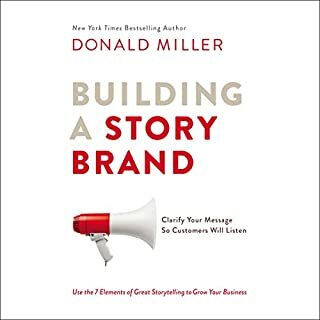 The author should be commended for the significant contribution he has made to not just effective marketing, but appealing to our higher human nature and revealing how this can be so much more powerful that appealing to people baser needs/desires. This is what makes the book stand out so much! A great book to begin one's own journey of writing a compelling story. I wouldn't mind having a case study that follows a fake brand and how it could be taken in various directions, as described in the book. Provoking thought is the best way for us to generate what we want. I felt this book assisted in that. Great book, great ideas building upon Joseph Campbell's work. I enjoyed the narrators voice as well. 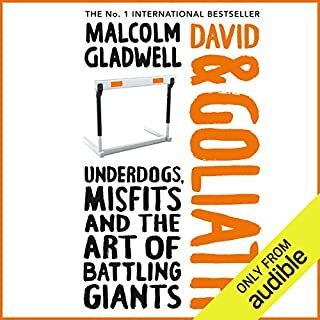 I would recommend to a friend, especially if you like Seth Godin. Will listen over and over. Insight that is perfect for a modern marketer.